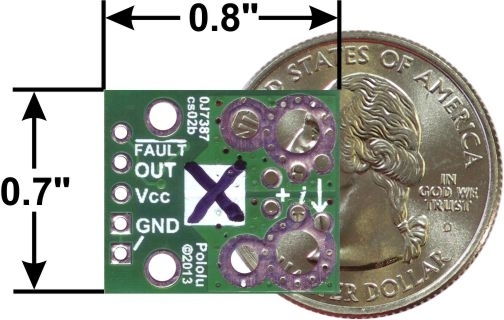 Designed for bidirectional input current from -15.5 A to 15.5 A (though the robust sensor IC can tolerate 100 ms transient current spikes up to 100 A). 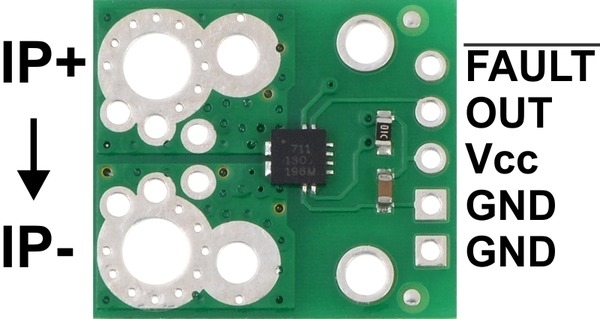 Conductive path internal resistance is typically 0.6 mΩ, and the PCB is made with 2-oz copper, so very little power is lost in the board. 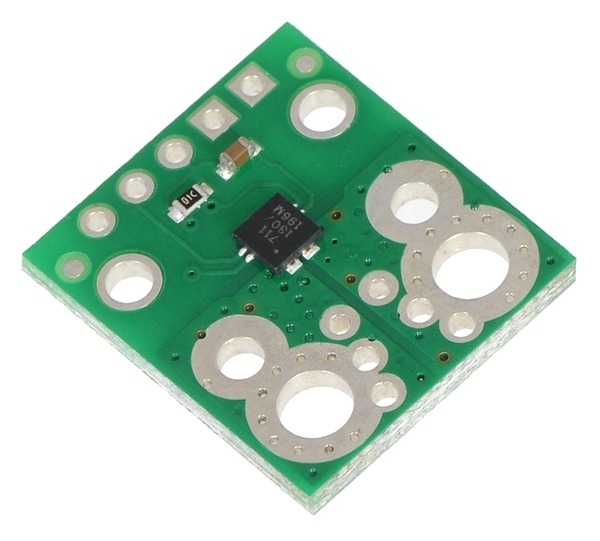 Use of a Hall effect sensor means the IC is able to electrically isolate the current path from the sensor’s electronics (for applications up to 100 V), which allows the sensor to be inserted anywhere along the current path and to be used in applications that require electrical isolation. 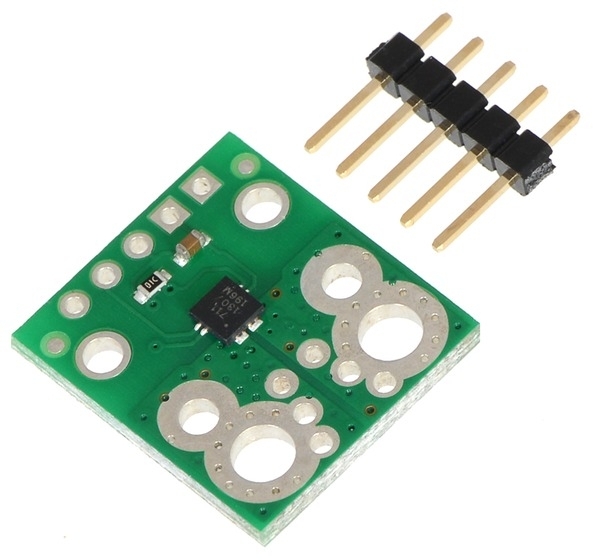 Good accuracy and reliability: factory calibration results in a typical total output error of ±5% at room temperature, the output offset voltage is extremely stable, and the sensor has zero magnetic hysteresis. 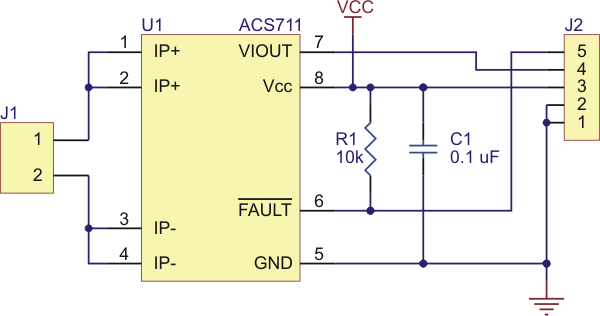 Overcurrent FAULT output latches low when current magnitude exceeds 15.5 A. 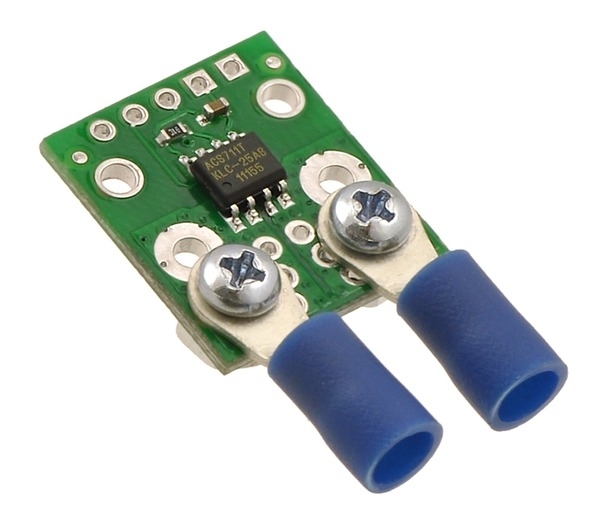 This 15.5 A current sensor is marked with a black X. 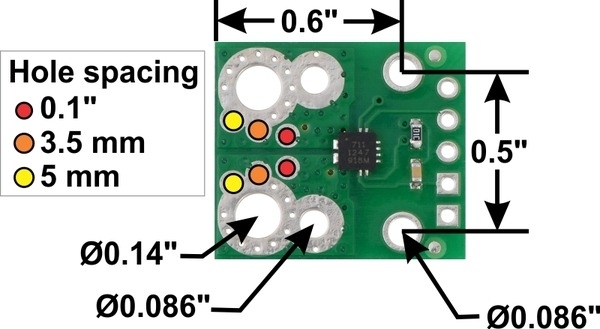 We also sell a 31 A version that uses the same carrier PCB; you can distinguish the versions by reading the text on the IC or by looking at the color of the X on the bottom silkscreen.